Every week, we share delicious and interesting recipes to hopefully inspire you, along with interesting facts and health research about Wild Blueberries. Our goal is to help you understand what makes Wild Blueberries different from their cultivated cousins (because they are completely different) and to spark conversation about this healthy delicious fruit. Since we receive a lot of questions, we thought we’d take this opportunity to answer what you – our fans – are most curious about. Below are the questions we’re asked the most and 5 things you should know about Wild Blueberries. Plus, we throw in a recipe at the end in celebration of Sweet Potato Month. 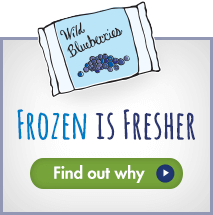 What makes Wild Blueberries different than ordinary cultivated blueberries? Wild Blueberries are much smaller than cultivated berries. They grow on low-bush plants about as high as your ankle. Most of the plant is underground in a rhizome root system. This underground root system is how the plant spreads in the fields, called barrens. They are slow growing (it can take years to fill a small open patch) and not manipulated by those who care for the crop. Fields may contain thousands of different varieties of these tiny berries, ranging in color from light to dark blue and in flavor from sweet, to tart, to tangy. Because the different berries are harvested together every mouthful is bursting with a more intense blueberry flavor – perhaps the blueberriest flavor you’ve ever had. 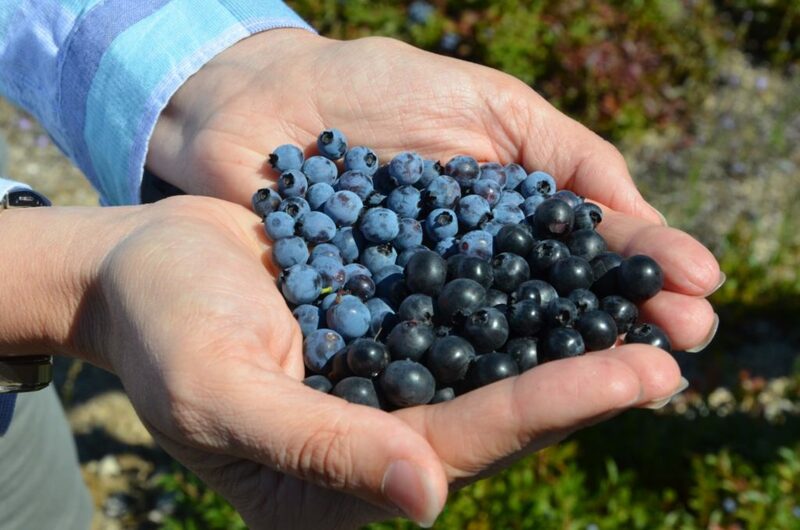 Cultivated blueberries have been modified for larger fruit and higher yields. They are planted in rows, are taller and in most fields, there may be only one or two varieties. 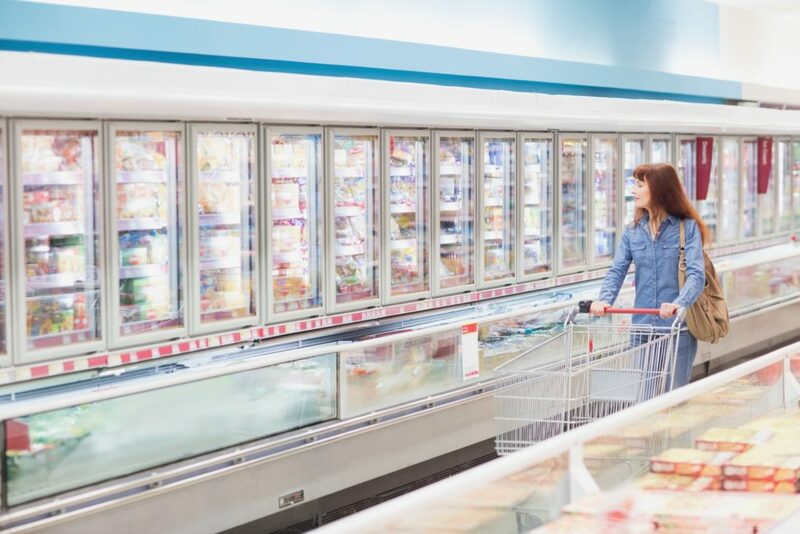 Cultivated berries are found in the fresh produce section, but to experience the incredible flavor experience of Wild Blueberries, you’ll need to look in your supermarket’s frozen fruit section. Frozen? Why can’t I buy ‘em fresh? Unlike cultivated blueberries that are planted, grown and harvested all over the world throughout the year, Wild Blueberries spread naturally where Mother Nature put them and are only commercially harvested in Maine, Eastern Canada and Quebec. Harvest typically begins in late summer and is over by early fall. If you happen to live near these areas, you may be able to find fresh Wild Blueberries in your local supermarket, at a farmers’ market, or local produce stand. Wild Blueberries are picked at the peak of ripeness and have never been hybridized so their naturally delicate skin makes shipping them fresh over long distances difficult. Instead, 99% of these unique wild beauties are individually quick frozen (IQF) within 24 hours of harvest, locking in their exceptional taste and superior nutrition. Once they’re frozen their ready to travel and hit freezers all over the world in peak form. 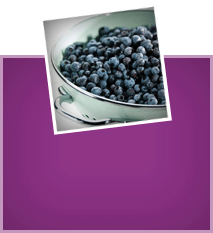 Organic Wild Blueberries are available, however, not all Wild Blueberries are organic. If you’re looking for organic Wild Blueberries, please check the package label. The demand for organic wild blueberries is growing, as is the organic supply, but it does take several years for a grower to transition his or her land and receive certification. We want you to know that all Wild Blueberries are an extremely safe and clean fruit. They have been flourishing in this same region of Maine and Eastern Canada for over 10,000 years and are naturally resistant to many native pests and diseases. In addition, the harsh winter conditions of the growing area and the unique two-year cropping cycle, where the plants are mowed to the ground, help naturally deter most pests and disease. In the world of agriculture, Wild Blueberries are considered an extremely low input crop. What does that mean? It means that the farmers and growers work diligently to take the best care of the crop using the least amount of inputs possible. In Maine, our growers work closely with the University of Maine Extension on pest management techniques to closely monitor their wild crop. If issues are detected beyond thresholds, fields may need to be treated – but great care is taken to avoid unnecessary treatment. Where can I buy Wild Blueberries? 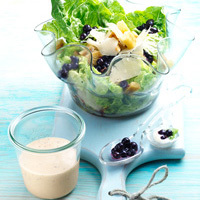 You should also look for Wild Blueberries in many of your favorite foods and on restaurant menus. Wild Blueberries are a popular and extremely versatile ingredient used in a variety of formats to enhance foods of all types. Look for them in yogurts, jams, beverages, cereals, snack bars, pancakes, muffins, sauces and so much more. 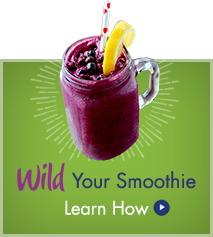 There is almost nothing that doesn’t taste better with Wild Blueberries. So when choosing your favorite blue superfruit, be a wild advocate and don’t just go for blueberries, go for tiny, potent WILD Blueberries. 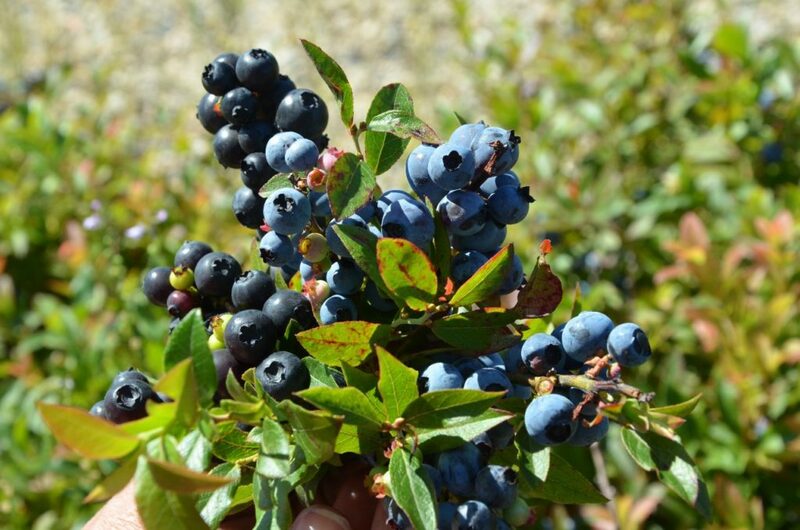 Are Wild Blueberries the same as huckleberries? Wild Blueberries and huckleberries are two very distinct fruits. They each have their own latin names, vaccinium angustifolium and vaccinium membranaceum, respectively, although there are many species of huckleberries. 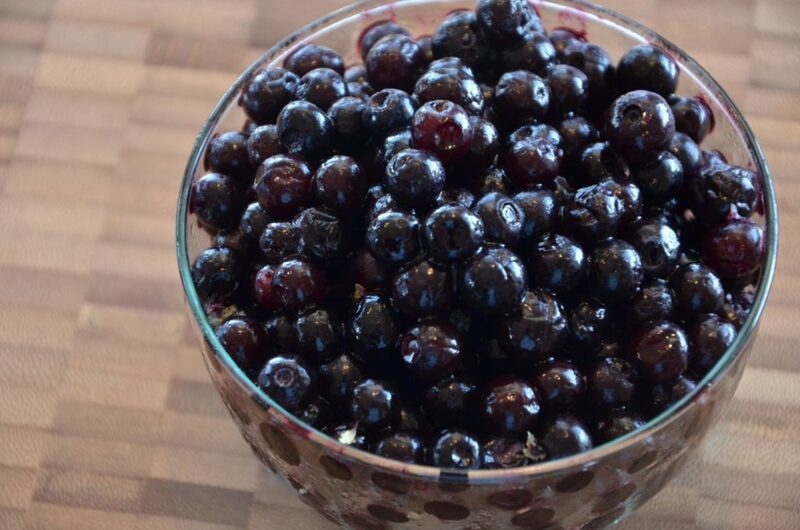 Some think that huckleberries are a “berry” close cousin to the Wild Blueberry but that’s not entirely true. The Eastern huckleberry, for instance, is more closely related to an apple than the Wild Blueberry. Cool, huh? The confusion lies in the word WILD. Many folks out hiking have come across BOTH berries. Since huckleberries are far more regionally diverse than Wild Blueberries, the name stuck. The berries are similar in color but have more differences than similarities. 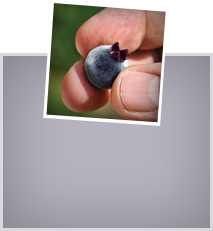 The easiest way to tell a huckleberry from a Wild Blueberry is by examining the fruit. 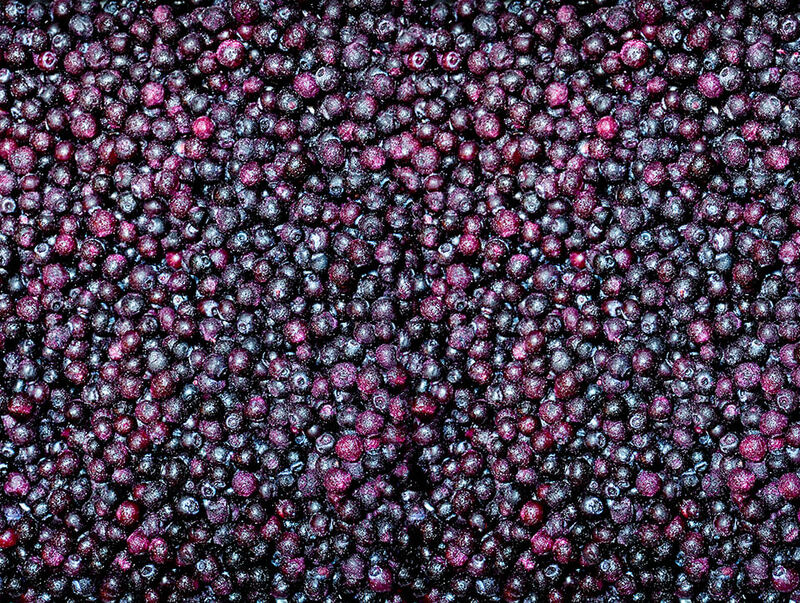 A huckleberry contains hard, distinct seeds – you know the ones that get stuck in your teeth. The seeds in a Wild Blueberry are very tiny and soft, making them virtually undetectable to the person enjoying them. February is known as heart health month, but did you know that it’s also National Sweet Potato Month. 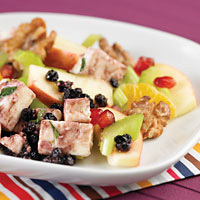 We can’t end this post without sharing one of our most popular recipes of all time! While some may wrinkle their noses at the thought of this combination, we ask you to try it first. 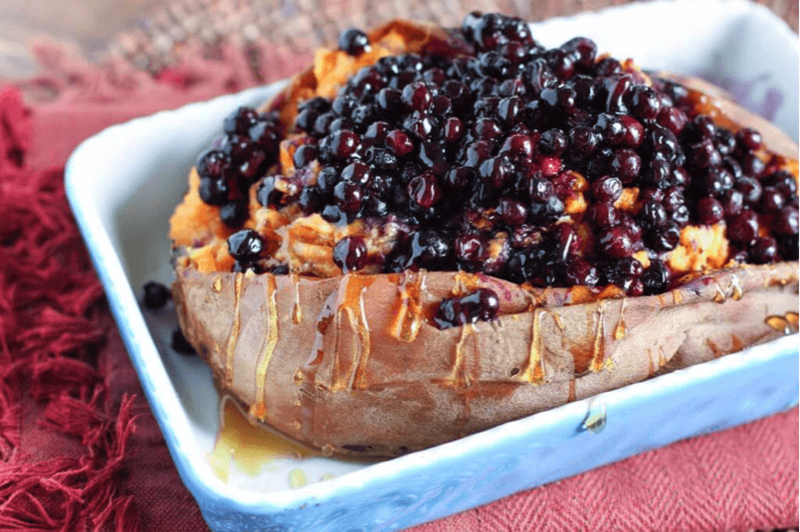 The sweet, tart and tangy flavor of the Wild Blueberries pairs incredibly well with the sweet potato, which makes for a tasty surprise. This nutritious duo is full of antioxidants, fiber, beta carotene, and vitamin C, and it’s an ideal side or meal on its own. Enjoy!